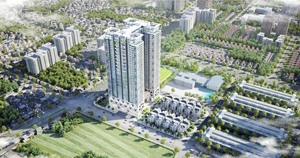 HCM CITY — In the last 20 years Việt Nam has switched from being an agricultural economy to one of the brightest manufacturing hotspots in South East Asia, according to the latest report from Jones Lang LaSalle. “Việt Nam is establishing itself as the industrial powerhouse of Southeast Asia,” Stephen Wyatt, Việt Nam country head of the US property services company, said. In 1986 there was 335 hectares of land dedicated to industrial parks, and now the figure is 80,000ha. China continues its move away from labour-intensive industries and up the value chain which has led to companies relocating to other Southeast Asian countries. Due to its close proximity and geographical location, Việt Nam is one of the largest beneficiaries of this migration. The country is strategically located between China and Singapore with 3,260km of coastline, providing excellent access to the East Sea, one of the world’s major shipping routes. Roughly, 40 per cent of cargo transported from the Indian Ocean to the Pacific crosses the East Sea before arriving in China, Japan, South Korea and the US. Many commentators predict the logistics market to be the standout performer over the next five to 10 years. The rapid growth of the middle-income population creating more disposable income and a growing obsession with e-commerce will put significant demand on logistics facilities. According to the Asian Development Bank, Việt Nam spends 5.8 per cent of its GDP on infrastructure, the highest in the region. 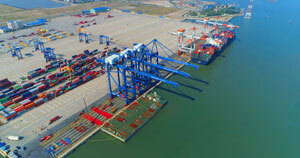 In order for Việt Nam to enter the next phase of the industrial/logistics cycle and become more competitive than other countries in the neighbourhood, it is critically important that significant expenditure continues on infrastructure, including highway networks, deep-sea ports and upgrade of utilities, including renewable energy. One of the challenges for Việt Nam over the next few years will be the ability to adapt and embrace the inevitable disruption and changes brought about by technology and automation, now commonly known as industry 4.0. All these initiatives have led to significant investment by large foreign companies. 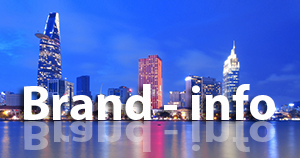 The best case study is Samsung, which has reportedly invested over US$17 billion in Việt Nam. This has provided confidence to many other foreign companies from around the globe to set up operations in the country. The industrial property market in the country, including industrial land, ready-built factories, warehouses and logistics properties, is in a nascent stage of development. The market is concentrated in three key zones: the Northern, Central and Southern Key Economic Zones. The southern region was the first hub and home to conventional sectors while the north has attracted more advanced high-tech industries and is strategically located close to China. The central region is a relative newcomer. 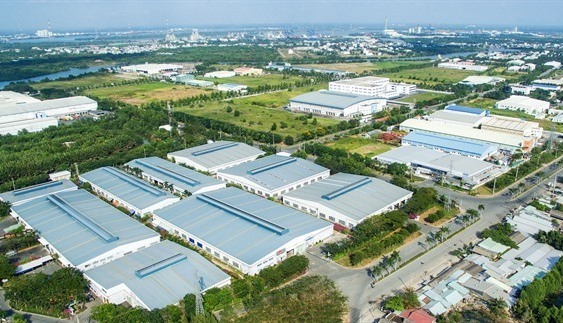 Greg Ohan, deputy CEO of BW Industrial, Việt Nam’s largest ‘for-rent’ industrial developer, said from a real-estate developer’s perspective his company’s focus is on supporting the country’s industrial upgrade.